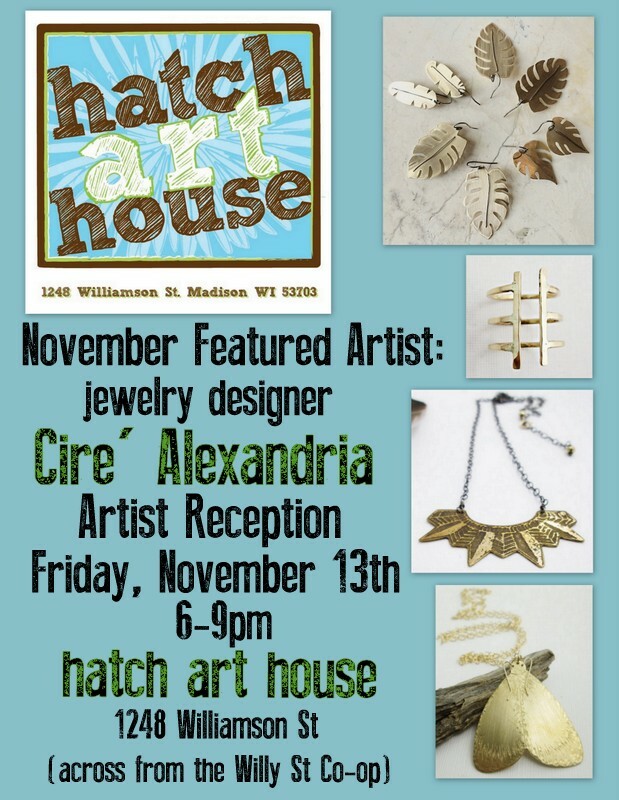 The featured November artist for Hatch Art House is jewelry designer, Cire’ Alexandria. Cire’ says, “C. Alexandria is inspired by the simplicity of color, the complexity in nature and the great mysteries of the ancient world. We believe every woman is unique and her adornments should tell her story! Cire’ will have her work showcased at Hatch Art House from November 1-30th with an artist reception on Friday, November 13th from 6-9pm. Refreshments will be served.